Coincidence, here I am with Something Old, Something New. I have literally had these denim wide leg pants for like 8 years. HA, I can still fit them. 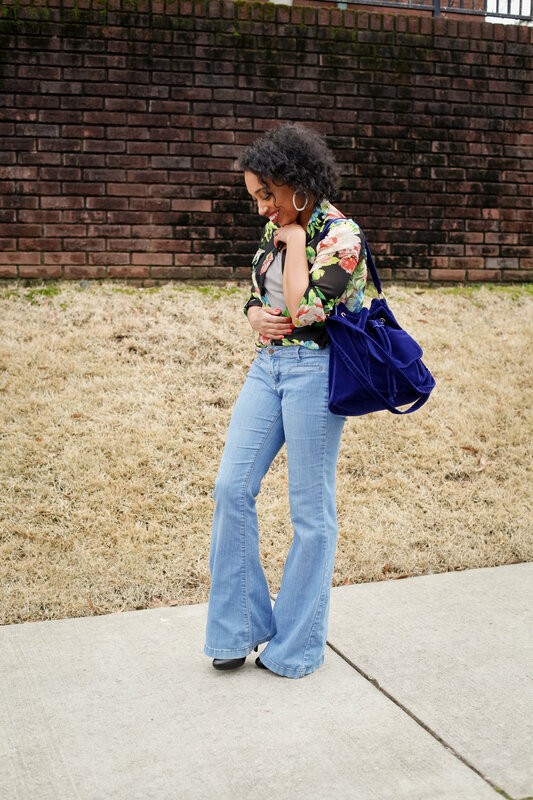 I wore these before three different ways with a denim top, a striped blouse, and this same floral blouse just with a faux fur vest. That's how you put a staple piece to work. 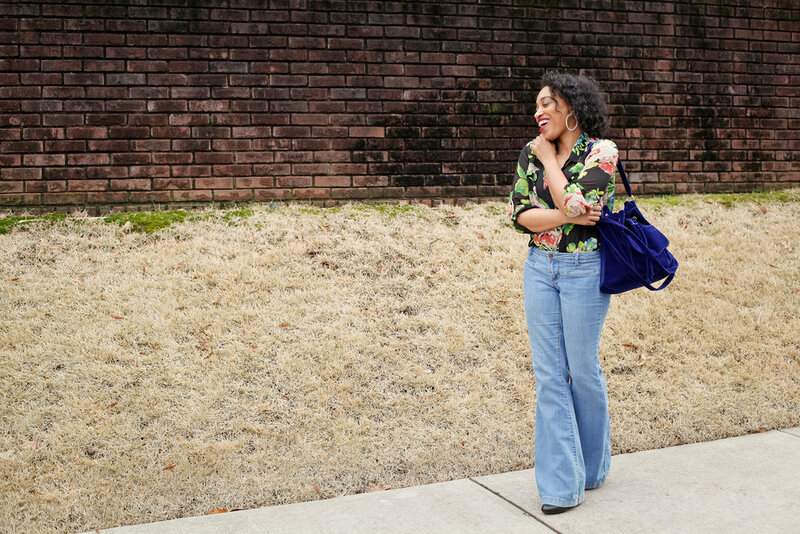 For the 2018 styled version, I paired my floral blouse from Windsor with my wide leg denim and just added a pop of color with my new cobalt blue satchel from Style Junkie. I have fallen in love with this bag. It's the perfect way to pop in color and texture. The color is so rich and a great compliment to florals.